I’ve bet that you’ve heard it a thousand times by now. 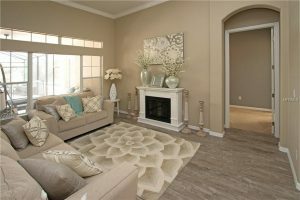 Staging your home will help it sell faster and for a higher price. While this statement is accurate, they don’t tell you all the things you have to do when staging your home for sale. It isn’t as simple as just hiring a staging company and calling it a day. A lot of the time the homeowners have to move a good part of their belongings into storage to de-clutter and get the home ready to be staged. Ideally, you would also want to have other living accommodations in order to keep the staged home in peak condition. 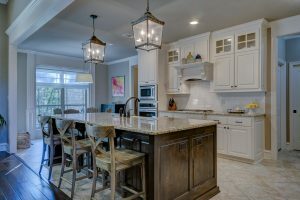 If you are selling your home and plan to stage it, we hope these tips and bits of advice will help make your selling process that much easier! 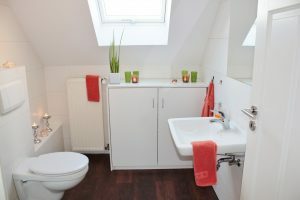 If you are working with an agent they may have connections to some staging companies, if not then you’ll have to find them yourself. It’s best to have a few companies come to your home and give you a quote so you can have some choices. As this may take a couple of weeks you’ll want to do that as soon as possible as to not delay your listing. Once you’ve chosen your company, you’ll want to make sure you have the money on hand as many stagers will request full payment on the signing of the contract. This isn’t unusual and you will most likely see a return on that (and more) once you’ve sold your home. Even if you don’t have your home professionally staged it is good to have a place to store your surplus belongings. Try to get a storage space that’s a little bigger than what you think you’ll need. This will save you money on having to rent an extra space if you find you need to store more items than anticipated. You also might want to hire professional movers to move your things into storage. You can do it yourself but this will save you time and some headache. Plus, movers will be able to maximize your storage space with their expert packing. The idea is to depersonalize the home as much as possible. You want the buyer to envision themselves living in your home. The less cluttered it is the easier it is for the buyer to do so. This means taking any family pictures down or any item that makes it seem like the house is occupied. This is a good time to get rid of belongings that you don’t use, the rest can go into your storage space. Usually, it’s best to find another place to sleep while your staged home is being shown. This minimizes stress to keep the home looking pristine. We know this isn’t possible for everyone so we’ll also give you some advice if you have to live in the home while it’s listed. Being able to live with friends or family rent free is obviously the best choice, but that’s not always an option. Another option is to live in a hotel while your house is listed. Since this can get expensive fairly quickly, you’ll want to look for extended stay hotels that offer lower week rental rates. You could also try to find furnished apartment complexes that offer short-term or month to month rentals. Of course, there is also the option of using apps like Airbnb to rent out someone else’s home. Create a schedule for cleaning and hold to it. Make sure to vacuum and do a quick surface cleaning before any showing. Sort through mail daily and make sure to get rid of junk mail immediately to avoid unneeded clutter. If you are a pet owner then you might also want to think about boarding them whenever showings might occur. you could also have a friend or family member take care of them for a while. Stash away daily use items in your kitchen, such as paper towels, soaps, sponges, etc. to keep them out of sight for showings. Clean dirty dishes as you make them or put them in the dishwasher immediately. Remove smaller appliances such as toaster, blenders and coffee machines from the countertops to give the kitchen an open feel. If you plan on cooking a lot in your staged home, you should try using natural odor neutralizing methods. This includes things like sprinkling baking soda on carpet or boiling lemon slices or cinnamon on the stove, or leaving out cups of white vinegar to absorb the odor. Make sure your cabinets are neatly organized since buyers will most likely open them. Try to put your belongings in a closed nightstand cabinet or drawer. If you don’t have a nightstand you can use a bin with a lid to stow your items and slide it underneath your bed. Don’t forget to make your bed every morning. For those of you with kids, keep toys in a cabinet or basket for easy containment. Using totes for bathroom toiletries as a way to keep them organized. Only guest towels should be on display. All family member should have a set of their own towels, cleaned daily. Don’t let your magazines or newspapers stack up. Though it’s not the easiest to live with a staged home, especially for those who have to live in the home, it’s definitely worth the investment. Are you ready to sell your home? 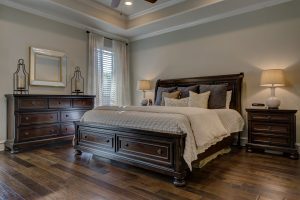 Staging is an important part of selling your home and receiving the highest possible price. 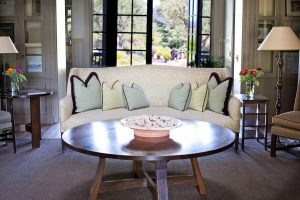 Check out this go-to guide for the best tips on how to properly stage your home whether you intend to live in the staged home or elsewhere. Gitta Sells and Associates are happy to help with all of your buying and selling needs!